The Women's Courtyard is a grassroots initiative which has been developed and guided by a distinctive model of feminist critical social work. 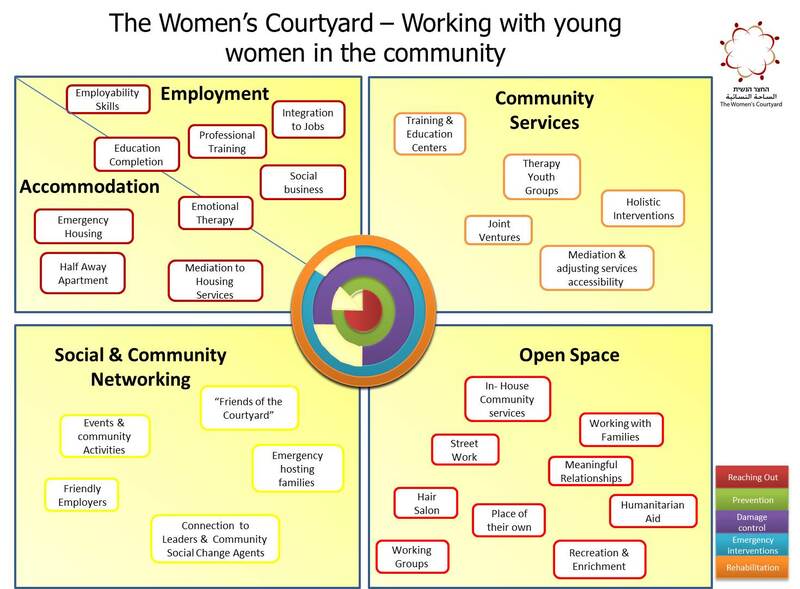 The Courtyard’s model is different from the more traditional social work structures primarily because it is gender-specific, multicultural and community-based. Our projects address a broad range of both the effects and outcomes of poverty, abuse, discrimination and exploitation of young women and girls; as well as offer a variety of responses that strengthen the Courtyard’s position as a place that offers significant alternatives to the distresses and dismal realities of this population. Through an inside-out approach and working method; with the goal of promoting social change, the practice developed in the Courtyard is outreached far beyond: Welfare professionals, NGOs working with girls at-risk, schools, professional forums, conventions, round table meetings and conventions.